Canal Liners are an affordable solution to prevent water loss due to seepage. It has been estimated that irrigation canals experience water loss of 30-40%, with seepage being one of the main factors causing water loss. Western Environmental Liner offers a wide selection of geomembranes ideally suited for irrigation and canal liner applications. Recognizing the precious nature of water, Western Environmental Liner can line your canal or spillway getting your water where it is intended and not supporting weed growth. Canal lining is essential for the efficient use of water and land resources. Thousands of miles of previously built, concrete and clay canals are now showing extensive cracking with resulting leaks and water loss. By relining these irrigation canals with prefabricated Aqua series liners, you can protect your water supply. 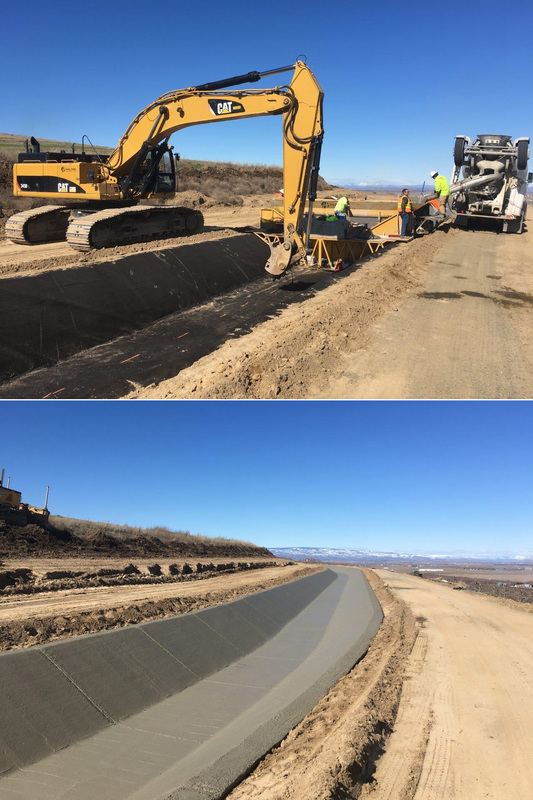 Be it aging and damaged canals or new projects dedicated to protect our natural resources, Western Environmental Liner has the materials and resources to provide factory fabricated irrigation and canal liners to meet your need. A smooth surface allows for a higher flow rate meaning reduced dimensions to move equivalent amounts of water and lower maintenance costs. Eliminate seepage which promotes weed growth and erosion leeding to further irrigation canal inefficiency. We specialize in custom canal liner fabrication and installation. We can also make canal liners in manageable segments that customers have installed themselves with portable hot air welders. We provide many different products for canal lining applications with our Aqua Series being the most popular. Please contact us today so that we can help your canals retain water. Our objective is to satisfy our customers by giving delivery on time!